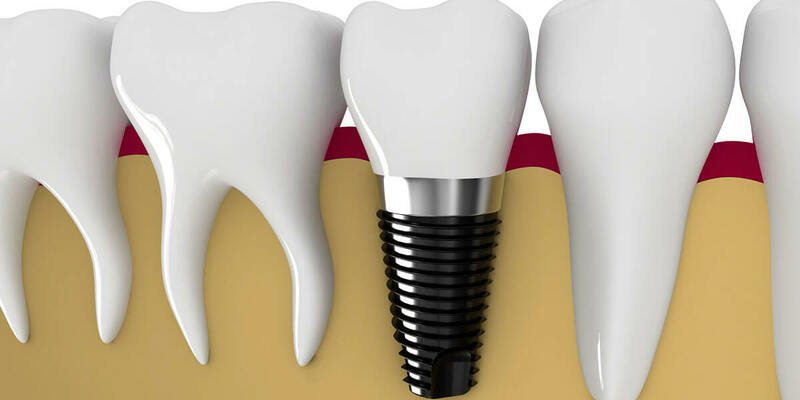 Dental implants are considered the gold standard in dental restorations for missing and failing teeth. They provide virtually all the functionality of natural teeth and prevent bone loss that occurs when tooth roots are removed. Metrowest Prosthodontics specializes in treatment planning the restoration of implants in Framingham, MA. In the past, when a patient would lose a tooth or teeth, bridges or partial dentures may have been recommended to restore their dentition. In the case of the bridge, teeth adjacent to the extraction site would be prepped and covered to restore the empty site and the functionality of the bite. Partial dentures are removable appliances that are taken out daily. If extraction sites are not restored, the adjacent and opposing teeth will start to drift changing the bite. When placing dental implants, only the extraction site needs a restoration. The initial appointment begins with a comprehensive evaluation including 3D cone beam scanning technology to view the affected area of the mouth. This allows for the dentist to plan the precise placement of the dental implant. An implant of biocompatible titanium is then surgically placed in the jaw. As healing takes place, the implant osseointegrates with the jaw, forming a strong and durable base for the final restoration. After the implant heals, an impression is taken to fabricate a custom abutment and porcelain crown to restore the site and your smile. To learn more about dental implants and schedule an appointment, please call Metrowest Prosthodontics at 508-620-6622.